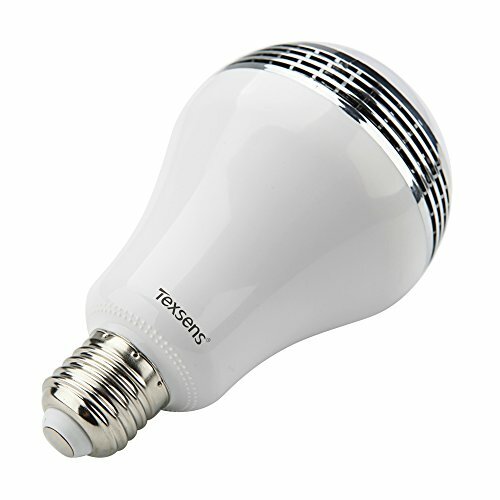 LED Light Bulb with Speaker - Moar Stuff - You don't need it but you know you want it. $15.99 $43.99	Get Your Stuff! 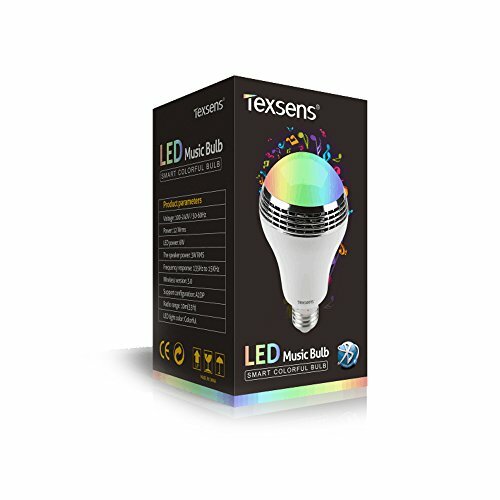 Flicker mode: The light of this music bulb can dance as music, there are multiple color settings, solid or flashing, and you can set it so that it pulses with the audio. Heavy Bass acoustics: The speaker have a heavy bass effect which bring you a different auditory feast, it sounds good as long as you don't turn the volume up full, at very loud setting there may be some distortion. 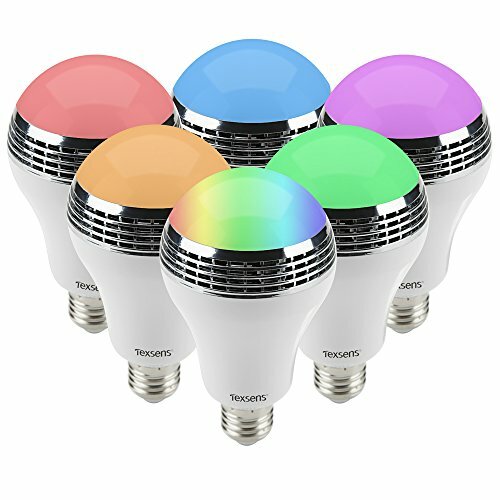 RF Controller and Bluetooth Connected: The remote can control the color of light and choose the light mode, the bulb can connect to smart phone by Bluetooth 3.0 to play music. 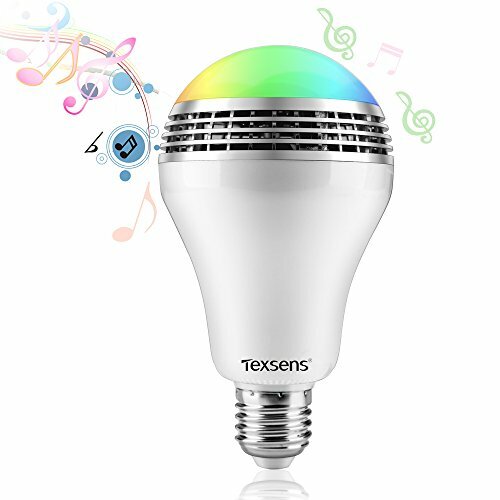 Ideal Used for Home Decoration and Party: This bulb with RGBW light and the speaker, the colorful light and pleasant music creates a magical and attractive feeling. Suitable for Christmas Gift, Thanksgiving Gift, Birthday Gift, etc. One remote controller can control multi bulbs (the light), but one Bluetooth device can only be connected to one bulb (output sound). 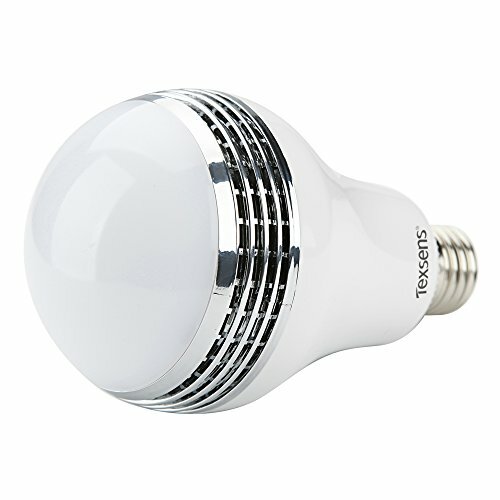 With this LED Light Bulb with Speaker, you can turn your house into the hottest dance club of the year! Or, if you don’t care about that, you can just listen to music wirelessly just about anywhere via Bluetooth just by replacing an existing light bulb. 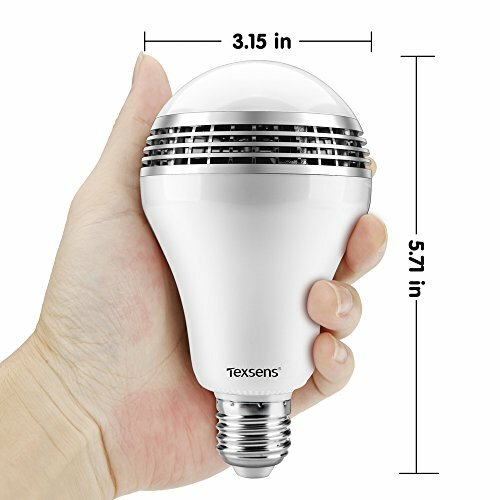 This 6 watt LED light bulb offers 400 lumens of light when set to maximum brightness (about the same as a 50 watt halogen bulb) along with a high-quality Bluetooth speaker capable of hitting deep bass notes when playing your favorite music. Although there may be some distortion when the volume is at maximum. But that’s not all. 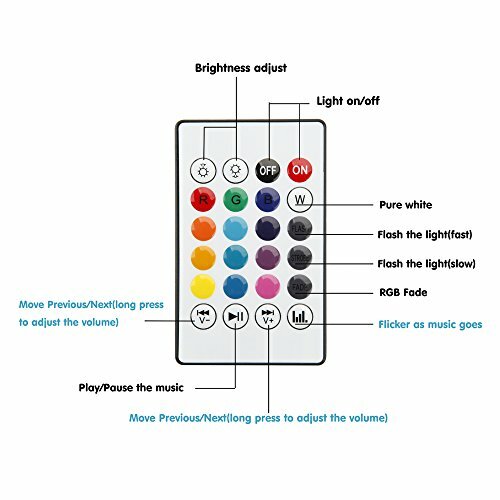 It also offers hundreds of different color combinations and even a rhythm mode where it flashes in sync with the music. The included remote control offers you full control of the speaker and light from anywhere in the room with just a touch. This gadget would be an awesome and unique addition to your smart home setup. Oh, and just imagine the possibilities for practical jokes and/or Halloween, Christmas, or Birthday parties. Dimensions: 3.1 x 3.1 x 5.7 inches. Requires a Bluetooth 3.0 compatible device to connect.